In the wee hours of Sunday, August 5, gunshots broke the stillness in front of the 7-Eleven store at southeast corner of S.E. 122nd Avenue and Powell Boulevard – and two men slumped to the pavement. Portland Police Bureau (PPB) East Precinct officers were dispatched there at 2:12 a.m., after a caller to the 9-1-1 Center reported two people had been struck by bullets just outside the store. 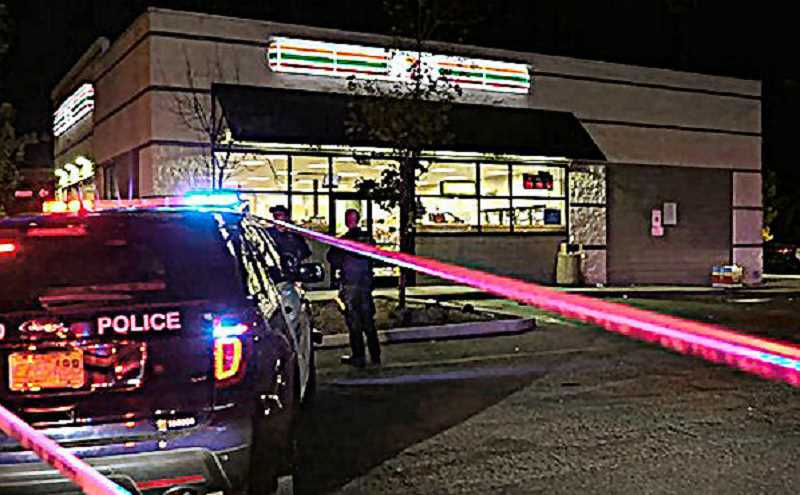 "Officers located two adult males on the ground outside the 7-Eleven; both men appeared to be suffering from gunshot injuries," reported PPB Public Information Officer Sgt. Chris Burley. The officers gave the men emergency medical first aid, until paramedics arrived and transported the wounded pair by ambulance to an area hospital for treatment of what were believed to be serious, but non-life-threatening, injuries, Burley said. "Investigators believe two men fired weapons at the two injured men," Burley explained. Witnesses described one of the suspects as a younger black male, 5'10" to 6'00" tall, 190 pounds, with a goatee and numerous tattoos on his chest and torso, and armed with a handgun. The other suspect was described as a black male with hazel-colored hair. The suspects piled into, and departed in, a white sedan. "We're asking anyone who witnessed this shooting, or who possesses video surveillance footage of the shooting, to contact Portland Police Bureau's Tactical Operations Division's Gang Enforcement Team at 503-823-4106," requested Burley.